The Gudipadi Cheruvu Farmers’ Group has succeeded in their first farming of naturally cultivated chilly. 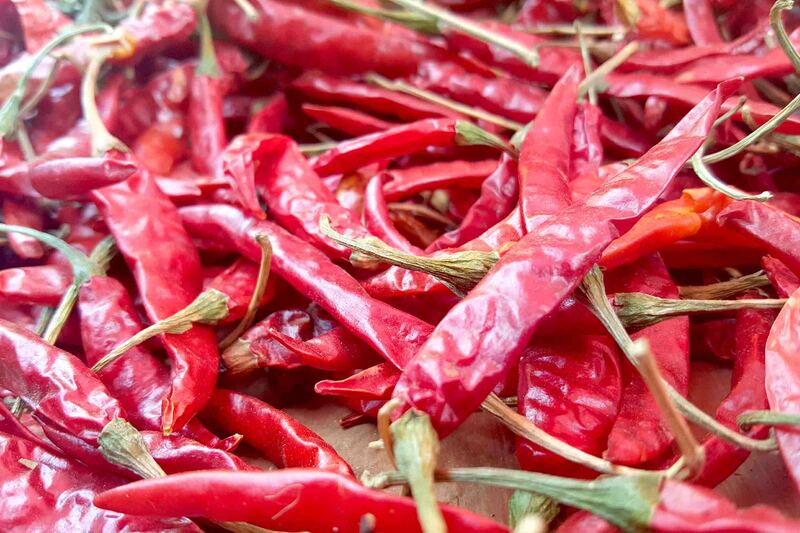 The chilly was harvested at the end of December 2018 and sold in the beginning of January 2019. The village of Gudipadi Cheruvu has around 174 households with 650 habitants. The main crops are rice, cotton and chilly. Because of its location in a drought prone region, the farmers decided to start with chilly, which requires less water than rice. The final decision to transfer to organic farming was made by over 50 farmers last June when they registered as the first group in Andhra Pradesh to use natural farming methods. Amrita SeRVe village coordinator Mallikarjun guided the farmers throughout the entire process. The farmers’ group gathered diligently and regularly to discuss such procedures as borrowing a tractor and applying for government schemes. Together they planned a trip to buy the chosen variety of chilly: Thejus. As a registered group, they were able to purchase the saplings at less than half of the going rate. Pujas, or sacred rituals, were devotedly performed according to local customs. After the saplings were purchased, the initial planting of 50 acres took place in August. Mallinkarjun took care of any arrangements concerning trainings by government agricultural departments as well as the preparation of purely organic fertilizers and pesticides such as Beejamritam and Jeevamritam in the farmers own yards. Sufficient rainfall was one of the major challenges. Indeed, prayers for rain to come at the proper time were foremost on the farmers minds. Despite persistent dry conditions, the chilly began to grow. According to Mallikarjun, farmers harvested around 12 to 15 quintals of chilly per acre, which was sold almost immediately. The transition to natural farming methods was a plus to this enterprise. 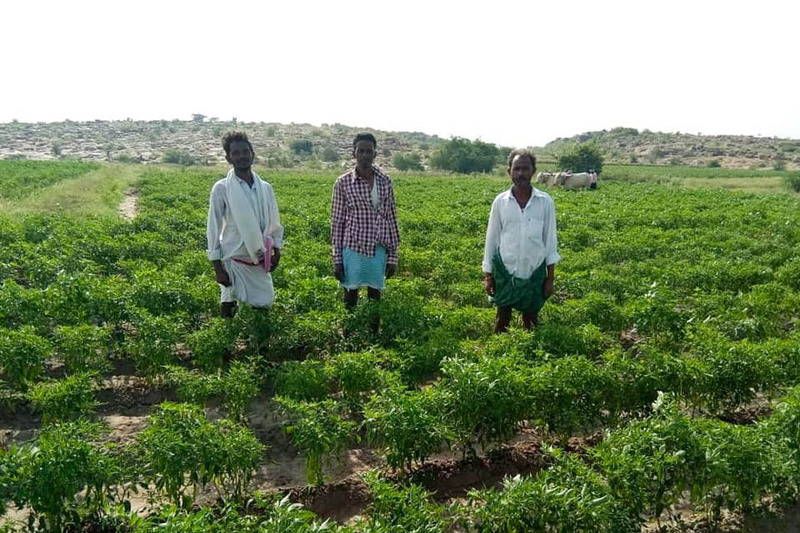 “Using homemade, purely organic fertilizers and pesticides saved around 30,000 rupees per acre,” Amrita SeRVe agricultural officer Sreeni KR explains. Initial costs were further curtailed as a result of village coordinator Mallikarjun’s arrangement of the organic farming methods trainings in cooperation with Agriculture Department.